Blood pressure is recorded in 2 numbers: it is OK for so long as one number is OK.
High blood pressure is a very common problem. Your parents may have this condition. Maybe you are also advancing in age, therefore putting you at greater risk. 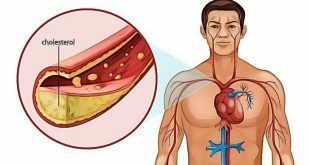 For these or other reasons, you may like to think that it is inevitable for you to develop high blood pressure and there is nothing you can do about it. Age : risk of high blood pressure increases with age. Family history : high blood pressure tends to run in families. Race : In the western countries, it is found that high blood pressure is particularly common among the blacks and the age of onset is earlier when compares with the whites. In Malaysia, the risk difference among races is not constantly shown in local studies and surveys. The differences in prevalence between ethnic groups described in some local studies are most likely due to an interplay between genetics, environmental and lifestyle factors. Keep your weight at a healthy level. Higher body weight means more blood is needed to supply oxygen and nutrients to your body tissues. 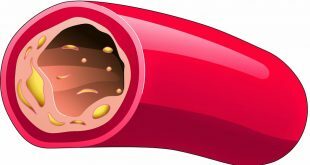 As the volume of blood circulating through your body increases, more pressure is push against your artery walls. This may lead to arterial wall damage and thickening, increasing your overall risk of hypertension. Higher body weight also means higher risk of cardiovascular disease like heart attack and stroke. You can keep your weight at a healthy level by a combination of healthy eating and regular exercise. For Malaysian, you should aim for ideal Body Mass Index which ranges from 18.5 to 23.5 kg/m2. In fact, regardless of your current weight, a reduction of as little as 4.5kg significantly reduces the blood pressure. Get regular exercise. Inactive people tend to have higher heart rates. This means that your heart has to pump more frequently and works harder. The stress of the heart will be transmitted to the arterial wall with each heart contraction and increases the risk of high blood pressure. Lack of physical activity may also lead to increase body weight. Therefore, you should choose to be active. Get at least 30 minutes of activity each day. Exercise also relieves stress and helps you to achieve your ideal body weight. Eat a healthy diet. Unhealthy diets increase overall risk of cardiovascular diseases. The extra calories will also be translated to increase body weight. In other words, you can choose to be healthy by eating only the amount of food your body needs and choosing foods high in nutrients and low in fat, sugar, and salt. Limit how much salt you eat. If you are taking steps to reduce risk of high blood pressure, more focus should be put on your overall salt (sodium) intake. Too much sodium in your diet can cause your body to retain fluid, increase the blood volume, increase the stress to the blood vessel walls and increase your overall risk of high blood pressure. Most of the sodium you eat is in the form of salt (sodium chloride, NaCl or monosodium glutamate, MSG). It may be salt that you add at the table or salt added to processed foods you consume. Generally, you should take less than 100 mmol of sodium or 6 gram of table salt (sodium chloride) a day (equivalent to ¼ teaspoonful of salt or 3 teaspoonful of monosodium glutamate). Optimize potassium intake in your diet. Potassium helps to balance sodium content in the body. Inadequate potassium intake may lead to accumulation of too much sodium in your blood. You should take adequate potassium a day unless you have reasons to restrict your daily potassium intake, for example renal disease. Ask your doctor or dietician regarding your requirements. Limit how much alcohol you drink. Drinking too much over a long period of time can damage your liver and heart. Damage liver may limit your choices of blood pressure medications in case you need them. If you drink alcohol, do it in moderation. If you are a healthy adult female, limit your alcohol intake to one drink a day, regardless of your age. If you are healthy adult male, limit your alcohol intake to one drink a day if you are older than 65 years old and two drinks a day if you are younger than 65 years old. Don’t smoke tobacco. The blood pressure will rise immediately for a short period of time, straight after smoking or chewing tobacco. Over long period of time, the toxin and chemicals can damage the lining of your artery walls. A damaged artery lead to thickening of it’s all and increases your risk of high blood pressure. The act of smoking also increases the risk of high blood pressure among people you care about through second hand smoke exposure. Therefore, take effort to stop smoking today, not only for yourself, but for the people you love (hyperlink to stop smoking). Get professional help today. If you currently do not have habit of smoking, minimize your exposure to secondhand smoke. Don’t let stress build up. High levels of stress are associated with temporary rise in blood pressure. Unhealthy method of relieving stress such as eating more, using tobacco or drinking alcohol increases your risk of high blood pressure further. Chemicals and stress hormones are also released in the body system during stress. 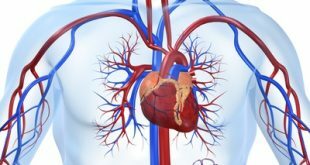 These chemicals and hormones make your heart beat harder and faster and tighten your blood vessels. In long run, they will damage your blood vessel walls leading to high blood pressure. Therefore, learn to overcome stress by healthy ways such as talking to someone about your stress, listening to music and exercising. If you find that the levels of stress are building up and is overwhelming, get professional advice. Certain chronic conditions. Certain medical conditions increase your risk of high blood pressure. Some examples include renal disease and obstructive sleep apnea. Read about these condition and their symptoms. If you have these medical conditions, get them assessed today by certified personnel so that appropriate treatment can be offered to you. Sometimes, when you treat the related medical conditions, your blood pressure may either normalize or the control of the blood pressure becomes easier. Too little vitamin D in your diet. Until today, it is uncertain if having inadequate vitamin D in your diet leads to high blood pressure. Vitamin D may affect an enzyme produced by your kidneys that regulates your blood pressure. Since, vitamin D is an important vitamin for bone health and other body functions, ensure that you have enough vitamin D in your diet. Identify your risk factors. Separate those risks into non-modifiable and modifiable. Starts taking action today to reduce the non-modifiable risk as much as possible. If you are above the age 30 years old, have you blood pressure check yearly. If the initial check gives you a normal reading, continue yearly check-up. If you have high cardiovascular risk, pre-hypertension or hypertension, check your blood pressure more regularly. The frequency of check may depends on how high the blood pressure, and how stable is the reading. Ask your doctor for advice. Practice home BP check if you need regular blood pressure check (hyperlink to home blood pressure monitoring). High blood pressure is a chronic condition that builds up over time. The risks of high blood pressure can be divided into modifiable and non-modifiable. Deal with the modifiable risk factors of high blood pressure starting today. National Health and Morbidity Survey (NHMS III) 2006. Loh K.W., Rani F., Chan T.C., et al (2013). The association between risk factors and hypertension in Perak, Malaysia. Med J Malaysia 64(4): 291-296.